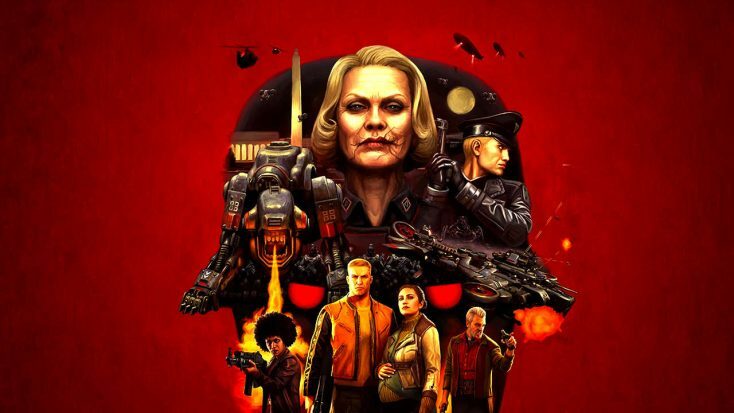 Wolfenstein II: The New Colossus should’ve been the ultimate successor to its surprise hit predecessor, Wolfenstein: The New Order; it’s certainly sold well enough. 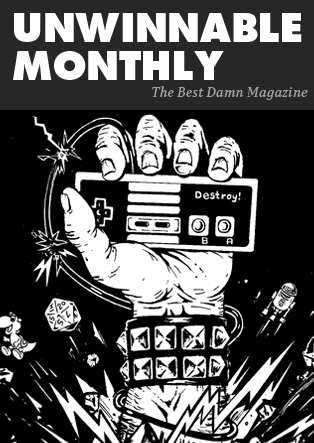 However, when it comes to nailing the same razor’s edge balance of bleak humor, surrealist pulp sci-fi, and pitch dark terror of a world taken over by Nazis, Wolfenstein II fumbles at its most pivotal moment. Shooters are directly linked with the precise sort of violent, cold, rage that toxic masculinity brings about; especially with id Software’s games resting as a vanguard of heavy metal, blood n’ guts, and difficulty settings that mocked anyone who couldn’t take on the upper echelons of the challenge on offer. It was also an inspired idea to take Wolfenstein, the progenitor of FPS action, and strike its protagonist down, humbling him to the point of being bound to a wheelchair. In the opening moments, you’re struggling against all odds to protect those you and he care about – people you spent the entirety of The New Order with. And for a brief few moments, you can see developer Machinegames approach something worthwhile. From the start of the game, you’re met with discomforting flashbacks to protagonist William J Blazkowicz’s childhood in an abusive household. The very opening tutorials are you spending just a few minutes in William and his mother’s personal hell, culminating in William’s father, forcing William to shoot his pet dog. You can try and avoid hitting your mark, but all this leads to is further chastisement before William’s father puts the dog down. It’s a shocking sequence that hits you right out of left field, and informs us that while William is a far better man than his father, that doesn’t mean he isn’t still carrying the emotional damage he was forced to endure. Then you wake up to the physical pains of a near-death experience. William fades in and out of consciousness as his broken body and mind try to make sense of themselves. Gaming’s biggest FPS legend finally comes to with his body confined to a wheelchair, his health bar a quarter of what it used to be. Upon properly rising, you fumble about, struggling to reload readily, and even later on, limited by an ever so slightly unsteadied aim. The message is made clear – William isn’t the man he used to be. Despite it all, he tears through Nazis in the opening – wheelchair be damned – but he fails. His oldest friend dies before his very eyes, her head tossed around like a plaything by the Nazis who would burn his whole family to a crisp. While William escapes, the painful reality crashes through that he isn’t some godlike Nazis killing machine anymore. They didn’t win the war with his big sacrifice at the end of The New Order, and he’s probably not going to live to see a world free of Nazis. This is when the subtler elements start to kick in. We see him arguing with Anya, internalizing his emotions in unhealthy ways, only confiding his thoughts to his late-friend through silent prayers, taking unnecessary risks, and generally being: toxic. He’s not thinking clearly, and it rapidly becomes evident that for all the good he’s done in the world, that machismo and masculinity that’s carried him all this way was just a roundabout attempt to escape his father, only to be spared from becoming his father thanks to his mother’s love. That’s the other critical theme to The New Colossus – that mothers are more than important, but vital to ensuring a health, sane world. That you can’t save the world with just righteous fury, but also need love, compassion, empathy, and understanding to start rebuilding; to unite a movement towards something better. We see this in Anya, fighting and serving despite being far into her pregnancy, and Grace, who is raising her child, leading the resistance, and trying to keep a family together in a world that hates her very existence. There’s even an antithetical example, of a mother who is heartless and cruel, in the antagonist Frau Engel. All of this is great, and builds up to a final showdown about halfway through the game between William and his father. It should be a defining, singular moment of staring down the darkness in the world, and striving for something better, just like the concentration camp level in The New Order. Except, it isn’t. William’s motivations are well intentioned – he wants his mothers ring to propose to Anya before he dies. He’s embracing what time he has left, and finding strength in his new assisted living through a mechanized combat suit. William’s growing as a person, and his father is just more wretched than ever. This monster of a man talks about how their family name is held in high regard now thanks to him assisting the Nazis in rooting out “undesirables”, including William’s mother, who he callously describes like trash. He’s pleased at the state of this world. “It’s a white man’s world now. Gotta keep it Christian.” he proclaims. Finally, he threatens to shoot his son’s head off with a shotgun. In the end, you cut him down to size with a fireax, but not before you learn he sold you out and the Nazis are coming. Right here, there’s an attempt to emulate what made the climax of the concentration camp level work – an absurd moment of sci-fi. Your house is ripped off its base by a Nazis zeppelin battleship as you fight with their various warmachines. Except, you fail. You get captured, your ring is claimed by Frau Engel, and you’re taken prison. You’re to be executed. The Resistance try to rescue you, but it goes horribly, leaving Grace’s husband, a more comedic and positive father figure, dead at your feet. Then, you go on trial, and the downfall starts. First of all, you suddenly break free of your restraints with pure indignation, fighting through wave after wave of Nazis in a gratuitous power fantasy that’s undercut by both glaring inconsistency and admittedly some really terrible level design. Instead of being a brief, dream-like break of catharsis as it’s intended (as this IS a dream sequence, you learn shortly after), it’s a hellish nightmare demonstrating pretty much everything the game was working itself away from. But then you think maybe the plot’s taken a turn once you escape the courtroom and find William’s mother. They share a tender moment, and he tells her about Anya. He doesn’t want to go, but he’s tiring out. Then you’re brought back to reality, William’s brought before an army of Nazis as Frau Engel raises a sword over your head, and she – well, she cuts your head clean off. It’s not a dream again, nor is it symbolic either. You might try and argue that it’s about William giving up, or perhaps it means there’s a new protagonist waiting in the wings. They kept setting Anya up as being just as capable as her lover, surely that would work? Or how about their new leader Grace? Nope. Instead, William is brought back from the dead, head conveniently tucked in a jar, before being given an ultra-custom-made-Nazis-super-soldat-body! Worst yet, this plot twist apparently exists because one of the creative directors wanted it in Dishonored, and it didn’t happen there, so they put it in here. I’d like to believe there was more intention behind it than that, but given how jarring it is, the origin of this twist is rather concerning. It feels forced and derails so much of what Wolfenstein II tries to talk about. All narrative developments and various gameplay mechanics about living differently-abled are gone; the story chugs on without really addressing the fact that it’s effectively put things back to the status quo; and even the theme of motherhood essentially vanishes. At best, we have Anya saving William very near the end of the game, but it’s gratuitously done – almost fetishistically – and doesn’t begin to compare to the idea of just playing as Anya, carrying on where William left off (despite the first game establishing she’s more than capable). Instead, William just churns through Nazis till we reach the end credits where a blaring, unpleasant, borderline screamo cover of “We’re Not Gonna Take It” plays for what feels like an eternity. Everything breaks on a fundamental level the second William is decapitated. It’s astoundingly to watch all the game is building towards, except for a subplot about racism, just crumble to ashes. There’s another resistance group you’re introduced to after obtaining your new body, but they’re barely there for more than a hot minute and they’re too generic to be worth making a point of them. Grace’s resistance group at least makes sense, emulating the Black Panthers. Their goals make sense. This latter group just exists to extend the plot another hour, because virtually every major thread is tossed aside for the sake of this twist. Even the penultimate cutscene, right before you go into the final mission and kick off the second American revolution, is just everyone goofing off; amounting to little more than another jarring, perplexing, out of left field moment. In this case, it could’ve been earned, but it just doesn’t really click. It’s beyond bizarre to witness the entire campaign basically shrug off everything it was doing for the sake of some cheap laughs and explosions. It’s like a second development team came in for the third act. Now, you might argue that they refused to kill William off because he’s the protagonist of the series, right? 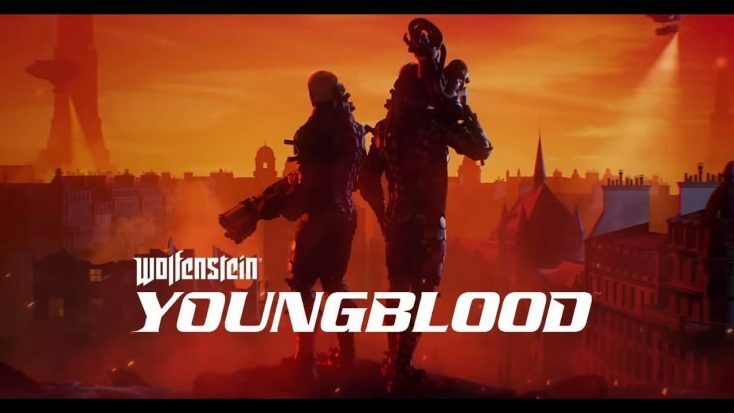 Well, turns out, you’d be wrong, because the newly announced Wolfenstein: Youngblood stars his daughters. William might not even be present in the storyline, or if he is, there’s nothing necessitating him having a super-soldier body. All these choices clash against one another like nails on chalkboard, and do a disservice to Machinegame’s past efforts. It’s not like this is the only path they could have taken. William could’ve stayed in the mech suit, or he could’ve died. Both of these options are perfectly acceptable, especially given where Youngblood is headed. Restoring us back to the way we were in The New Order undercuts the message of both games entirely. It’s not even narrative payoff, but more a consolation prize to players who didn’t like how the first half of the campaign handled. From a mechanical to a narrative level, it destroys any sense of balance and coherence we had to begin with. William might have survived his decapitation, but Wolfenstein II didn’t. The moment he loses his head, the game does too, and it never gets sewn back on. It’s a waste. I don’t pretend to understand what went down behind the scenes at Machinegames, but something went wrong in the recipe here. What should’ve been their latest crowning achievement is instead, a half-baked experience. One can only hope that Youngblood learns from The New Colossus’ mistakes.